New Delhi: Drug firm Suven Life Sciences has been granted a patent each by Australia and Canada for a drug used in the treatment of neuro-degenerative diseases. 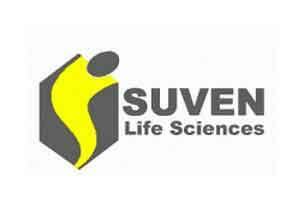 In a BSE filing, Suven Life said it has been granted “one product patent from Australia and one product patent from Canada corresponding to the new chemical entities (NCEs) for the treatment of disorders associated with neuro-degenerative diseases”. “The patents from Australia and Canada will be valid till 2032 and 2031, respectively,” the company added. With these new patents, Suven has a total of 23 granted patents from Australia and 22 from Canada. “These granted patents are exclusive intellectual property of Suven and are achieved through internal discovery research efforts. Products out of these inventions may be out-licensed at various phases of clinical development like phase-I or phase-II,” Suven said.